Going on vacation is super exciting isn’t it? I always get that buzz and excitement and start squealing and jumping up and down at the thought of laying by the beach, not having a care in the world and just being relaxed and chilled. 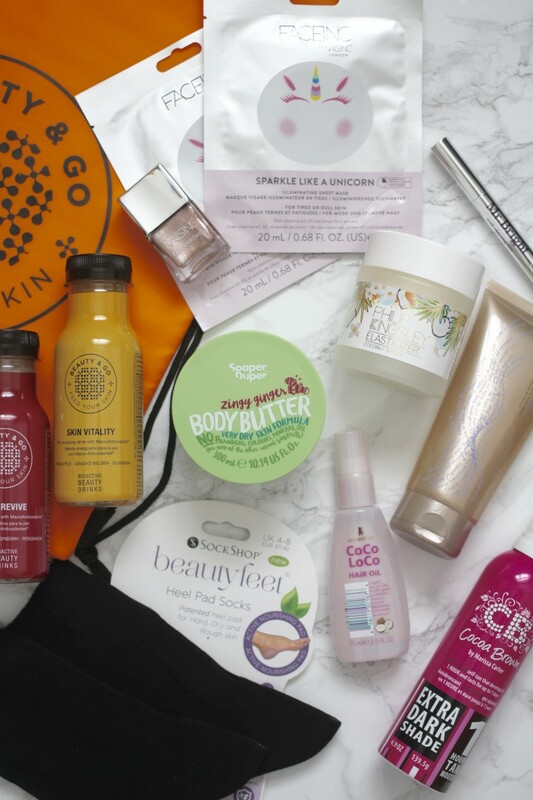 For me, the most exciting part is definitely the pre-planning, after the actual holiday is booked, then there clothes to think about, shoes to pick and a pre-beauty pamper routine commences to ensure everything is in tip-top condition. I’m off to Almeria in Spain in three weeks’ time and I cannot wait to get stuck in on my beauty pamper and today, I’m sharing what I have been using so far and some new products that I’m adding in as you read this post. 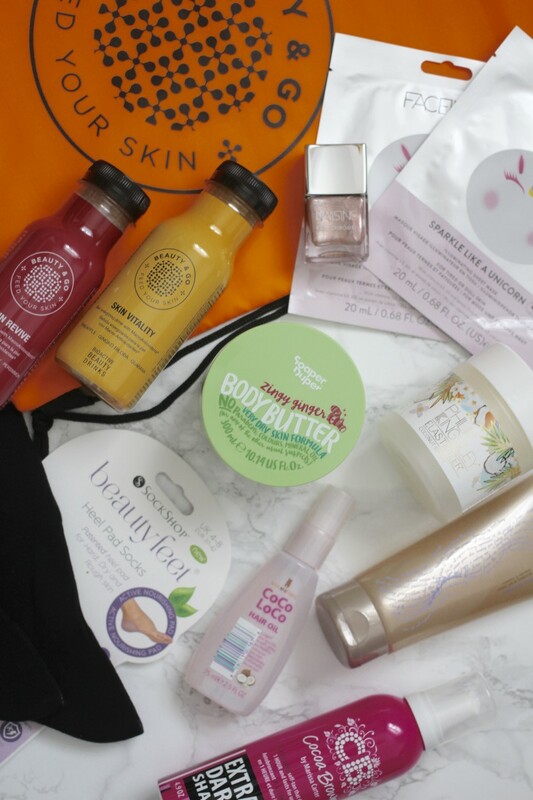 Starting off with something unusual, but definitely worth trying – the Beauty & Go Beauty Drinks. These are bioactive skin drinks made in various flavours for different needs of the skin. Acting as a beauty supplement, one bottle needs to be drank daily to see the benefits and help achieve a healthy-looking complexion. The four main choices are Skin Revive (boosts elasticity), Skin Detox (purifies and cleanses), Skin Brilliance (hydrates) and Skin Vitality (invigorates). 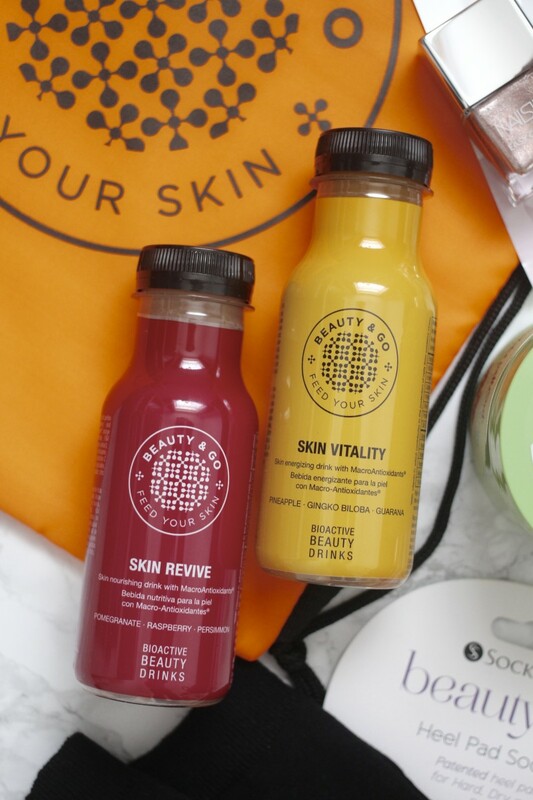 Pre-holiday, I have been drinking Skin Detox in a bid to cleanse my skin in readiness for some sun and Skin Brilliance to ensure the sun doesn’t dry out my skin too much. Unlike many other supplement drinks, these taste super yummy, just like fruit juice. My favourite is Skin Detox and is best served chilled. As well as drinking skin drinks, I have been trying to do face masks every week and you all must know by now that I love a good sheet mask. 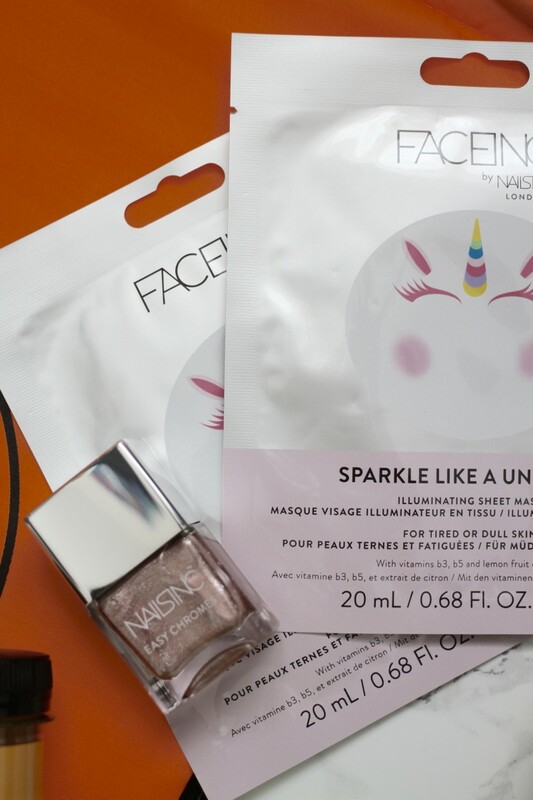 Face Inc by Nails Inc currently have some majorly cute ones, just look at the unicorn ones, so pretty and right up my street and they give the best illuminating glow to my skin after each use. Speaking of Nails Inc, I have been loving their nail colours and choosing one for my holiday has been hard, but I am opting for a metallic rose gold one from their Easy Chromes range called Hell For Metal. 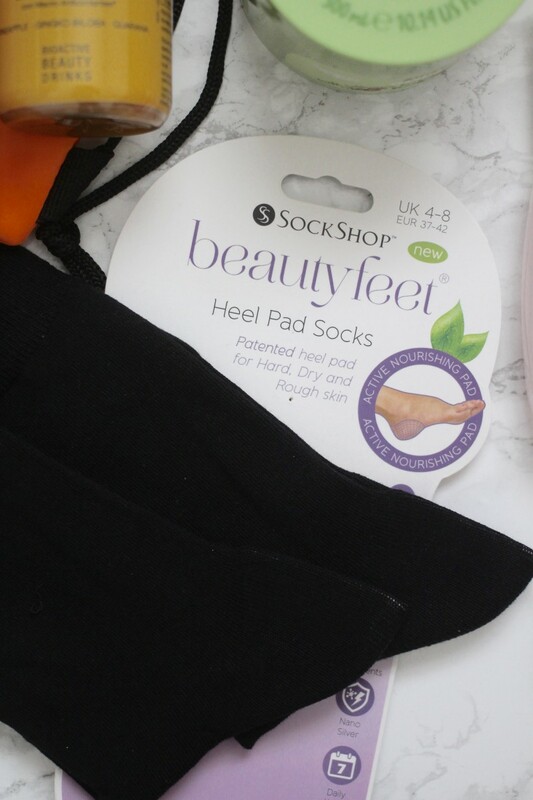 Keeping with the nails (kind of) subject, we move on to feet and no one wants to see crusty feet on hols, never, ever - so I will be prepping my feet with these Beautyfeet socks by SockShop. They contain a hidden heel pad with nourishing ingredients to revive damaged heels, so feet are soft and fresh, ready for pretty sandals. 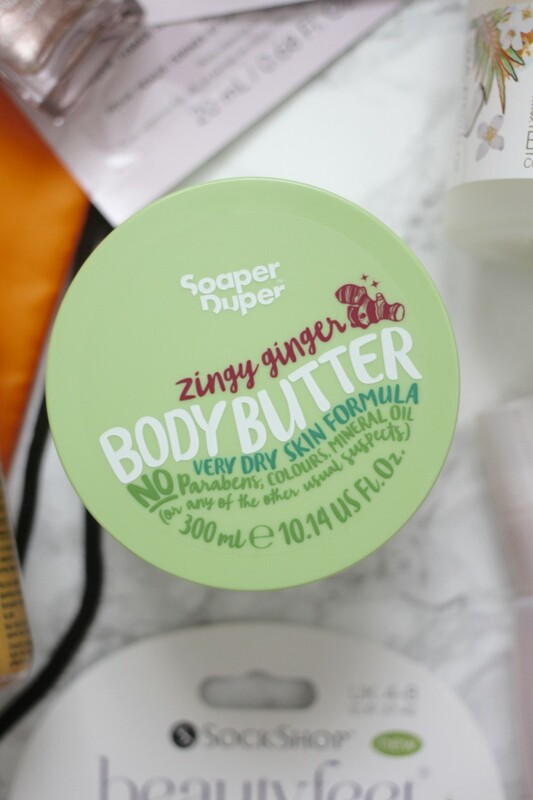 For extra nourishment (to the body aswell) I will be adding a layer of Soaper Duper Zingy Body Butter to ensure I keep my skin super moisturised and smooth. I love the ginger scent and it feels so fresh on. 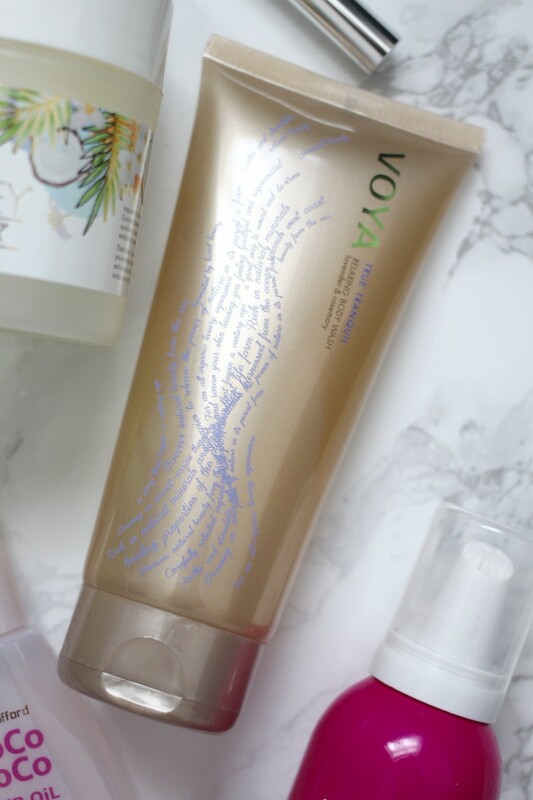 Staying on with body, I have been loving the <arel=”nofollow” href="https://voya.ie/body/true-tranquil.html">Voya True Tranquil Relaxing Body Wash, it smells so good and honestly makes me feel so relaxed. This will be perfect for those are nervous flyers – top tip from Julie no 1 – have a shower with this gem and you will be floating! Coupled with the fact that it’s 70% organic makes it perfect for those with sensitive skin and leaves skin feeling soothed and hydrated. Leading straight on to fake tan, I use to always get a spray tan prior to my holidays. However at £25 a pop, it is quite expensive, so opting to do my own is definitely better for me financially and I can save that extra bit of money for, you know, more cocktails I suppose, haa! 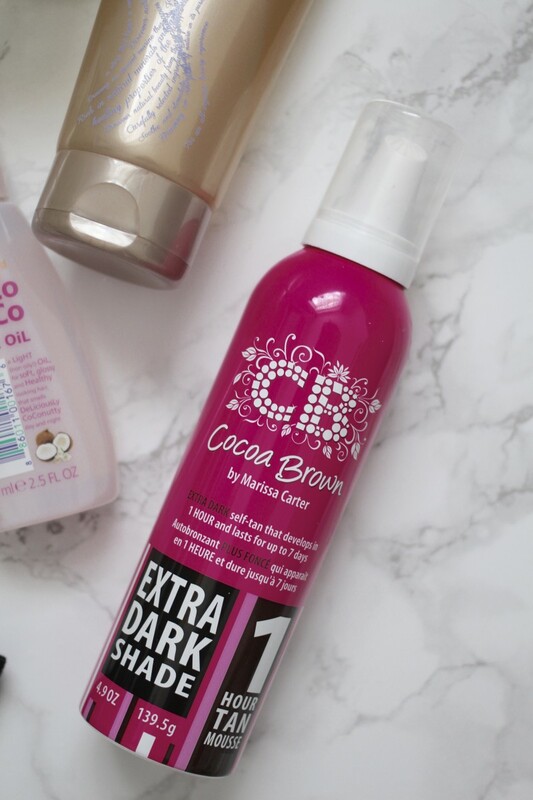 Cocoa Brown has always been one of my favourite fake tan brands, I use the wipes all the time and they’re honestly, THE best for topping up tans. They recently released an Extra Dark version of their Instant Tan Mousse and I am in love! The colour is insane and it lasts so, so long too. The Tahitian scent is amazing and it is honestly, super easy to apply and gives a gorgeous dark glow. Hair wise, all I will be doing is adding extra moisture pre-holiday so it doesn’t getting frazzled in the sun. 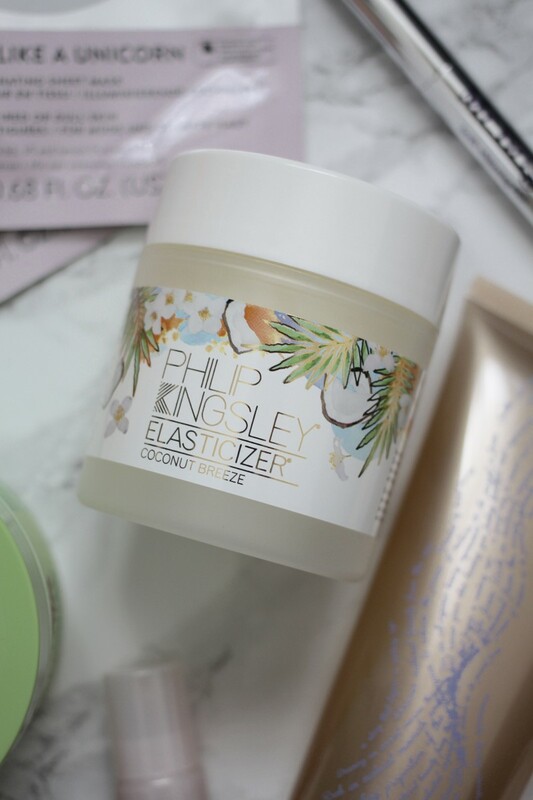 The Philip Kingsley Coconut Breeze Elasticizer is a pre-wash treatment that I completely swear by – it’s a pre-conditioning product that is applied to wet hair prior to shampoo and since using the original Elasticizer, my hair has been at its best, making it stronger, healthier and shinier. Coconut Breeze is part of the summer hair collection and obviously smells like coconuts which is the signature holiday scent right? 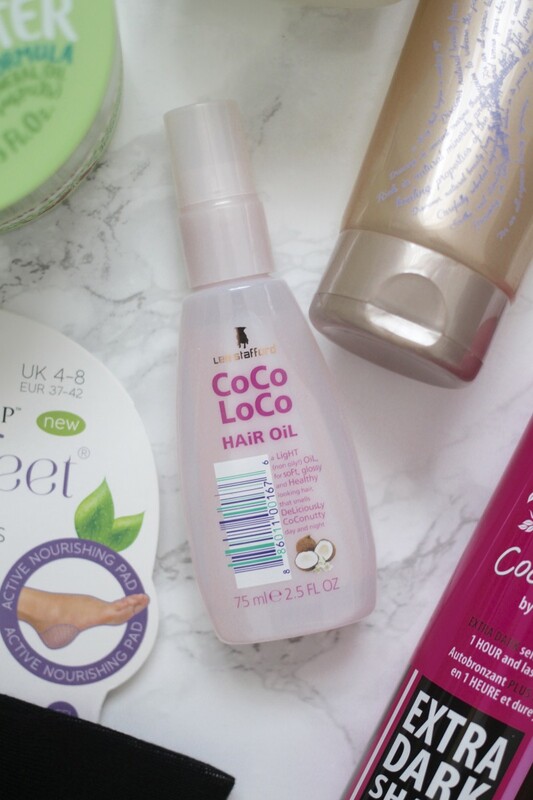 For added moisture, the Lee Stafford Coco Loco Hair Oil is new to my beauty pack, nevertheless, it smells incredible, applies so smoothly to my hair and leaves a gorgeous shine. It’s very lightweight also, meaning it won’t weigh down my hair whilst I’m enjoying the sun. 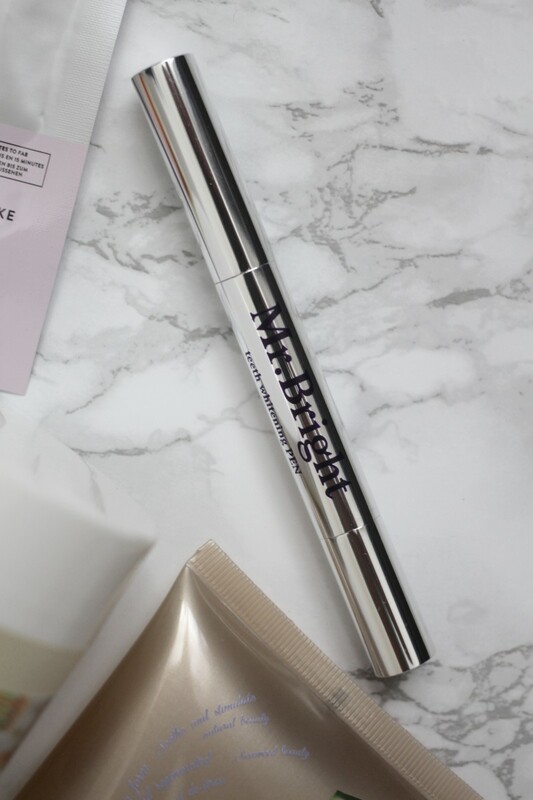 Finally, in a bid to get that Hollywood smile for all my holiday snaps, I have just started using the Mr Bright Teeth Whitening Pen - it’s super easy to use, all I need to do is paint the gel on to my teeth, activate it with a mini UV light and voila, good to go. The gel sinks in and after 30 minutes, I can see that my teeth is brighter and whiter. The formula is plant-based, therefore free from any damaging peroxide and there is no odd taste either, just a fresh minty flavour. I seriously cannot wait to get away for some much needed sunshine since we’ve rarely been getting any in good old Blighty. What do you do for a pre-vacation beauty pamper?